“Bow-and-arrow hunters already have shot 11 of Montana’s once-threatened wolf population since a controversial wolf hunt started at the beginning of September, while 60 wolves have been killed in neighboring Idaho. Now, big game rifle-hunting season is about to start, bringing thousands of hunters into the mountains at a time when early snowfall will make wolves much easier to spot and chase. Conservation groups went to court Monday seeking an emergency injunction to block the hunts until a federal appeals court can decide whether they’re legal. “General rifle season is about to start in Montana, it just started in Idaho. About 37,000 people now have wolf hunting permits, and they’re going to be going with high-powered rifles and long-range scopes after a little more than a thousand wolves,” Michael Garrity, executive director of Alliance for the Wild Rockies, said in an interview. He said a coalition of groups, including Friends of the Clearwater and WildEarth Guardians, are asking the U.S. 9th Circuit Court of Appeals to rule as early as today on an emergency order, pending a hearing next month on claims that the fast-track federal legislation that authorized the hunts is illegal. “With the snow about to fly … the very survival of Northern Rocky Mountain wolves may be at stake,” Wendy Keefover of WildEarth Guardians said in a statement. There are about 1,400 wolves in the two states, a number the U.S. Fish and Wildlife Service concluded is adequate to allow a hunt and still sustain the population. 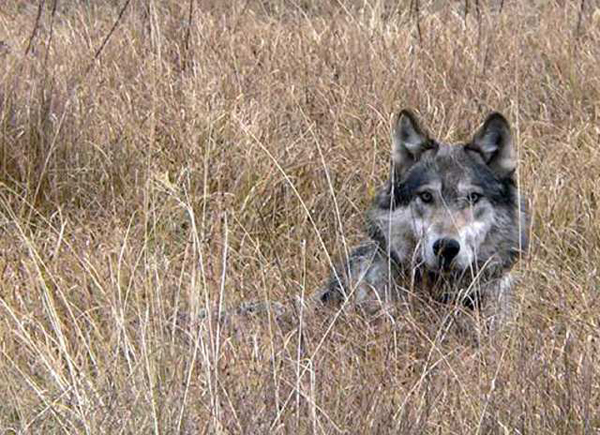 Many residents of Idaho and Montana say the predator numbers have become so large while wolves were protected under the Endangered Species Act that livestock are threatened and herds of game animals such as elk are declining. After repeated delays in getting federal wolf protections lifted, federal lawmakers from Idaho and Montana in August attached a rider to the must-pass federal budget bill that eliminated protections and cleared the way for the hunts. U.S. District Judge Donald Molloy in Montana upheld the wolf delisting in a ruling that conservationists in their motion Monday argued was reluctant. This entry was posted in News, Petition and tagged conservation, LA Times, wildlife, wildlife conservation, wolf, Wolf Conservation, wolves. Bookmark the permalink. Josh, I rely on your efforts to keep us informed. I signed the petition and sent “Who are We?” as my message to Obama. It feels good to be doing something.